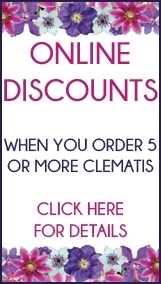 Taylors Clematis :: When is the best time to buy Clematis? When is the best time to buy Clematis? With our Clematis you can plant them at anytime of year as long as you can get your spade into the ground! As all our clematis are at least 2 years old, and have fully mature root systems.